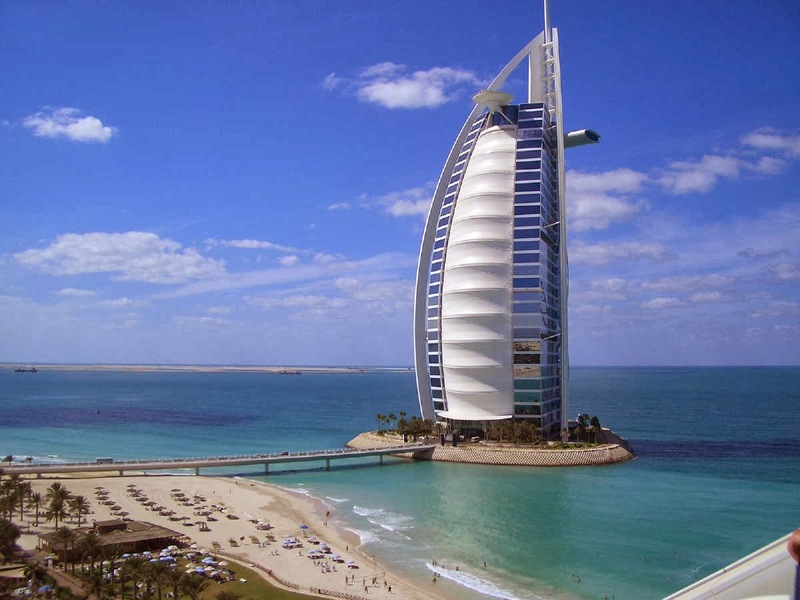 DUBAI city located in the UNITED ARAB EMIRATES is the most-preferred site for travellers. Large number of people from all over the globe land here to enjoy some fantastic moments with their near and dear ones. It is a unique location in the entire world. Scores of people from different regions visit here for several activities such as spending vacation and for doing business. Without a doubt, it is an exceptional destination to enjoy vacation in a most luxury and enthusiastic manner. The location offers a kaleidoscope of places of tourist interest for guests. 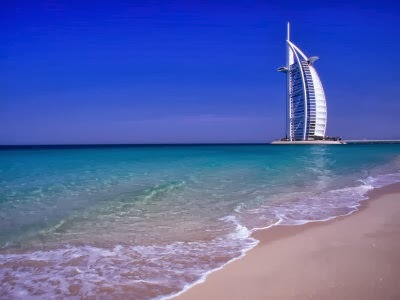 Burj al-Arab is a world premier class hotel in the city of Dubai. Its amazing architecture style captivates attention of each visitor. This magnificently constructed building is the icon of city. The tallest structure standing on an artificial island is the most popular tourist attractions. This 321 meters high building is divided into 66 floors and features scores of luxury rooms. Each room offers a breathtaking view of the surrounding water bodies. The 7 Kilometres long beach is the most famous places of tourist interest in the city. The scenic beauty and pleasing environs of the beach lure the attention of tourists. This long beach is divided into seven picturesque beaches. These sea shores are perfect locations to rejuvenate mind, body and soul. 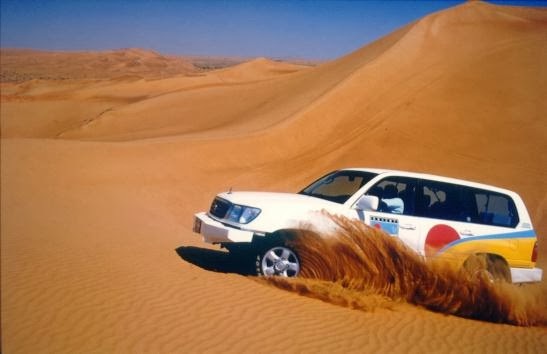 For adventure enthusiasts, it is one of the most rocking cities in the world to enjoy a thrilling DESERT SAFARI. Adventure activities in the measureless desert of Dubai are Camel Riding, Desert Skiing and Natural Roller Coaster. During a visit to the desert, one can enjoy the lip-smacking Puff Shisha (Arabic tobacco). In the desert tour, guests are also entertained by the belly dancers. The soft and flexible movements of dancers catch the eyes of viewers. The richness of Dubai Museum magnetizes thousands of tourists from the entire globe. It was established in the year 1971. The museum is an ideal treasury to understand how the vast desert is transformed into a metropolis. Al Fahidi Fort is a historical fort located in the premises of museum. The museum features rare collection of costumes, dioramas, weapons, tools, Al abra, al hourey, old Arabic house design and other archaeological materials. Being the most developed city in the world, travellers no need to worry about finding accommodation in the city, scores of budget and luxury range hotels are available. Dubai International Airport is connected with other international airports of different countries. Every nook and corner of the city is well connected by different modes of transportation. Check your documents such as Visa, Passport and Travel Insurance prior to flying. To enjoy a hassle free trip, it is always best to plan in advance.